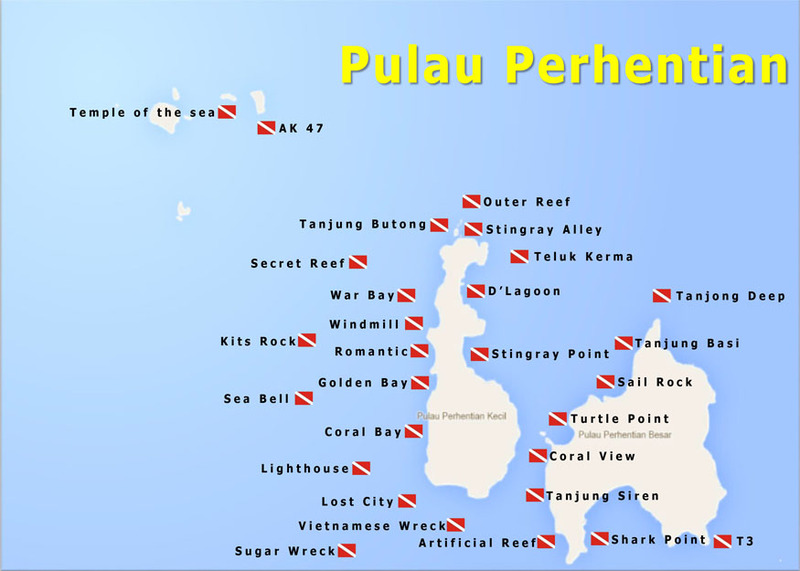 Arguably one of the best dive sites in the Perhentians. A series of underwater boulders and pinnacles plays home to all manner of marine life. If you’re lucky and the season is right you may even glimpse a whale shark! Sea turtles are seen on almost every visit. A truly fantastic dive, this 80 metre cargo ship which sank during the monsoon season of 2000/2001 while bearing a load of sugar, is now home to a massive abundance of marine life. Despite the name, this is actually a US twin-screw landing craft which sank in 1976. The wreck attracts an incredible array of marine life, notably schools of barracuda and snapper that feed in the current, which is often strong. Surrounding a small sandy lagoon is a lively bed of colourful hard corals. This chilled out dive will find you face-to-face with a wide variety of reef life, ranging from the magnificent school of giant Bump head parrotfish to the adorable Clownfish. Dominated by staghorn coral, this site offers not only opportunities to see black tip reef sharks cruising the shallows, but also a wide variety of fish and other marine critters. 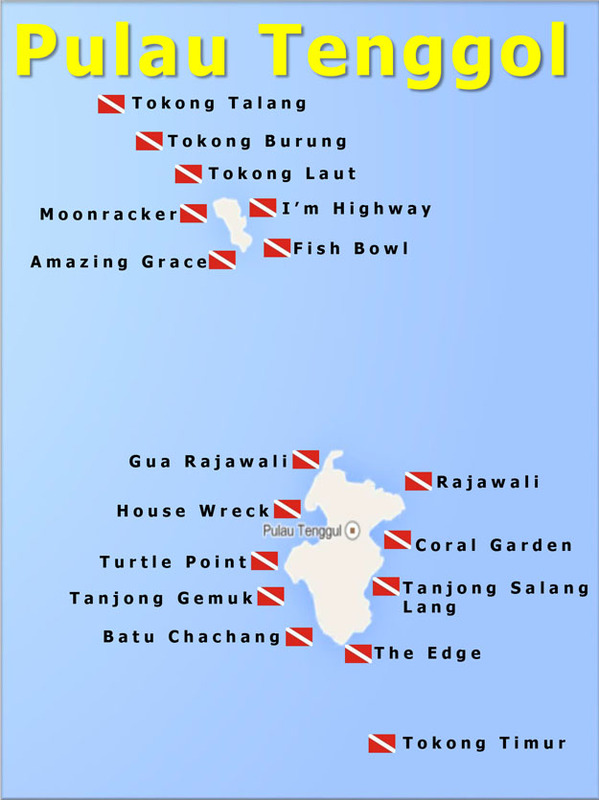 Tiger Rock as it’s known in English is probably one of the best dive sites in the Perhentians. It boasts some large coral formations, barrel sponges, soft whip corals and gorgonian fans. Fish life can be equally as impressive with schools of mackerel and barracuda. The big boulder formations create some impressive swim through and canyons here and if you are fortunate you may spot a leopard or white tip shark. 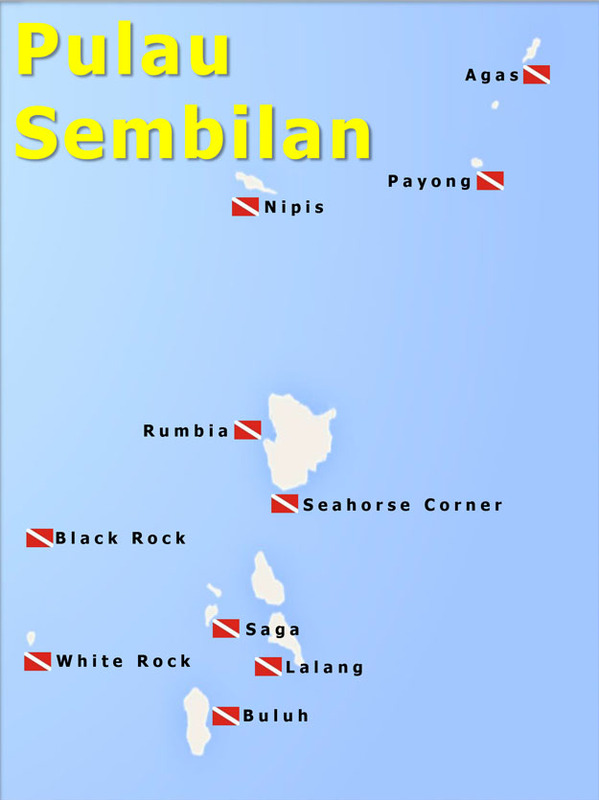 On the northern tip of Perhentian Besar is a peninsula with a reef at round 20 meters. There are some big rock formations and a couple of small caves and swim through. As the current is often stronger here there are usually schools of bigger fish such as barracuda, trevally and mullet. There are also often big groupers lurking around in the depths. A beautiful submerged coral reef where you’ll often be greeted by schools of yellow tail barracudas and a huge variety of corals like the bright red fluorescent anemone, staghorn coral, table coral, whip coral, barrel sponges and tube worms where you will find different species of groupers, sweetlips, triggerfish, batfish and schools of snappers.